Foley Estates Vineyard & Winery at Rancho Santa Rosa is the realization of vintner Bill Foley's dream to produce world class Chardonnay and Pinot Noir in Santa Barbara County. A historic parcel located in the Sta. (Santa) Rita Hills region of the Santa Ynez Valley, Rancho Santa Rosa was formerly a thoroughbred horse ranch. 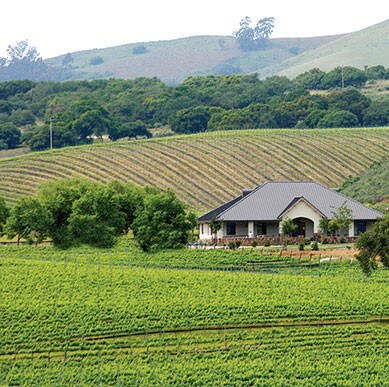 In 1998, the 460-acre property was purchased and planted to 230 acres of vineyard. Devoted to Chardonnay, Pinot Noir and Syrah, the vineyard has been subdivided into 59 micro-blocks with each being farmed, harvested and vinified separately. The handsome stables have been refurbished to house the winery, with tremendous detail going into the planning of a modern facility, while honoring age-old winemaking tradition.